Our classes are innovative and challenging , possibilities are endless! Each class inspired by our enthusiastic instructors. Members are challenged while having fun! DROP IN CLASSES – where-ever you see Drop In on our schedule – you can come anytime, jump into the workout of the day. Do 1,2,3,4 rounds all up to you. YOGA FLOW – Monday 9:15 am with Noushi – Replacing her weekend class. CALLISTHENICS FUNCTIONAL TRAINING – Tuesday & Thursday with Davit – 5:45 – 6:45 am Sun is up so why not make early am your thing ! POUND – Is back in the morning Tuesday 8:15am with Ira – Get into the Beat – this class is fun and a great core work out while you smile ! BODY WEIGHT BLAST – Tuesday at 5:00 pm with Karen – Take Karens Spin at 4:30 pm and then hit this dynamic class. CYCLE – Tuesday at 5:30 pm with Kirsten follow this class with…..
YOGA FLOW – Wednesday 9:15 am with Tyler – by popular demand Tyler now has a morning class to offer. PICK YOUR HIIT – Wednesday 5:00 PM with Kirsten – be ready to sweat! HIIT – Thursday 5:00 pm with Kirsten follow up with ….. CYCLE – Thursday 5:30 pm with Kirsten and if you still have some juice ( and maybe over doing )…..
Take a Picture: You can also take a picture of our schedules in the club with your phone. Membership and Drop ins available – bring your friends! 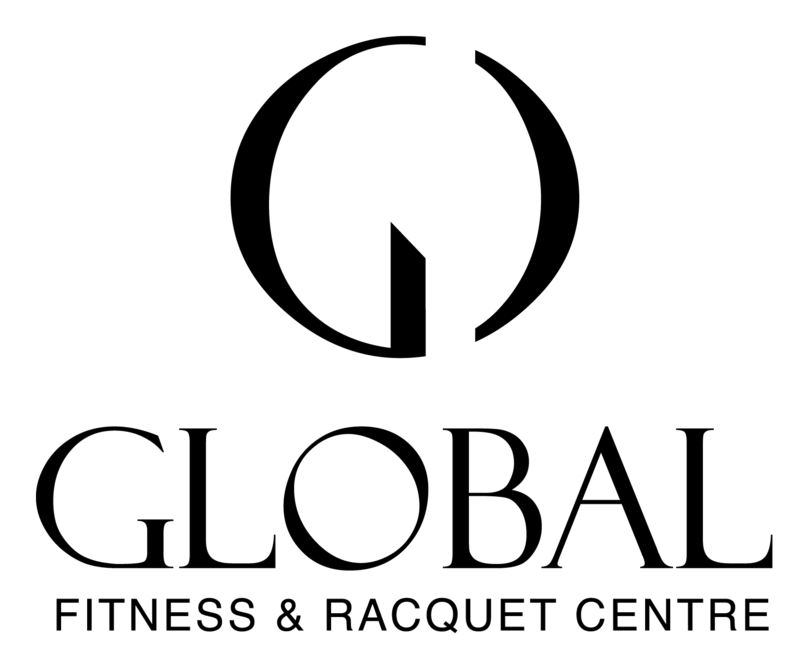 We have 4 private studios inside of Global fitness. 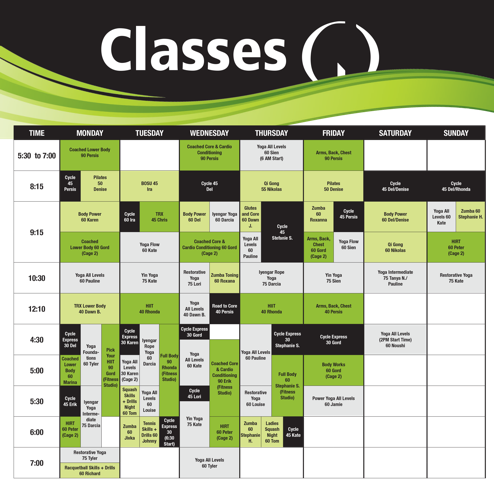 Classes are either in our private fitness studio, Cycle Studio, Private Coaches Cage 2 or Yoga Studio. Cycling Studio: Once you have booked online and you have a particular bike you like – come a little early and place your sweat towel and water bottle to reserve. 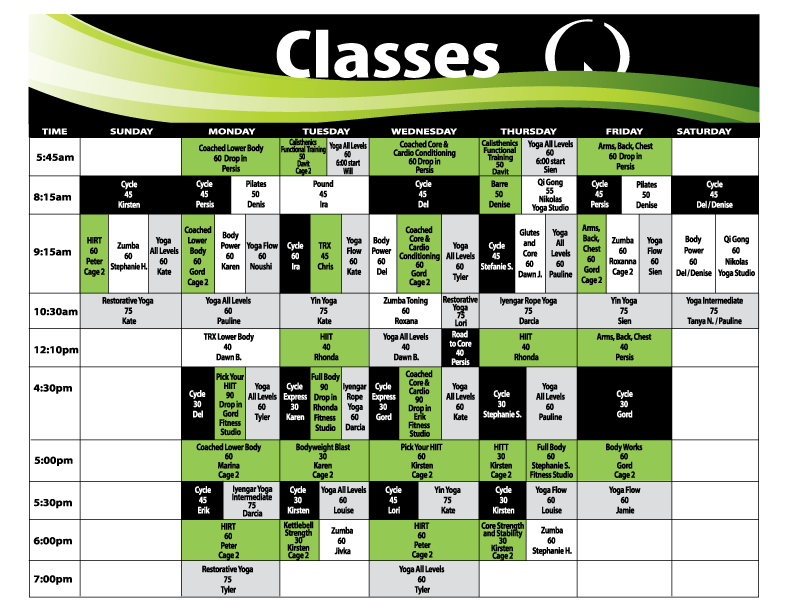 Members: Have 7 day in advance booking online for all fitness classes, cycle, yoga and coached classes! 1 Day booking in-house. Coached classes are included in your membership! This means Drop in any time between 5:45 AM and 6:45 AM on Monday,Wednesday and Friday mornings with Coach Persis, or Monday, Tuesday, Wednesday evenings between 4:30 PM and 6 PM with Coaches Gord, Rhonda or Erik. Complete the prescribed warm up, then join the group and complete as many rounds of the workout as you would like. Stay for 15,20,30,45 minutes or more! You have the freedom to choose! Finish it off with a cool down and you’re done.